Super charged grow lights in the indoor greenhouse allow us to grow year round. It doesn’t have to be this way. 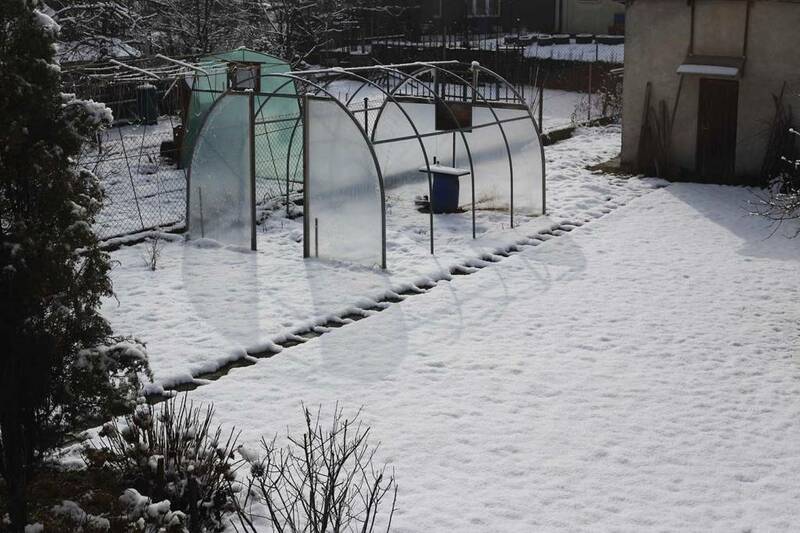 For many of us, we can actually use our greenhouse all four seasons. And important to know, the indoor grow setup changes significantly by simply adding grow lights in the indoor greenhouse. We’re calling it an indoor greenhouse because we’re making it its own indoor environment. For the colder months, we close the off-season greenhouse up more often, maybe only venting during the warmest part of the day. And, because the sun is lower on the horizon and the days are shorter; we use indoor grow light systems for this more closed environment. By using grow lights in the indoor greenhouse; we now have a smart, four season alternative. And, the greenhouse lighting is the key to whether we can successfully use our greenhouse setup year round. Calculating the indoor grow light needs is straightforward. And, with our indoor plant light details in mind; there are many variables as we do our greenhouse grow room design. Grow lights in the indoor greenhouse make it possible to grow year round. The farther north our all season greenhouse is located, the more we will rely on the grow light system. And, that grow light system will make or break our efforts in making it to spring. Plus, those indoor grow lights can be used for more than just extending the day a few hours. The grow lights in the indoor greenhouse can also be used to make the indoor plant light stronger throughout the winter day. A low angled sunlight supply is difficult for plants to use effectively. But, supplementing that sunlight supply with quality grow light systems can make the difference. So, yes, extend the daylight hours with the use of grow light systems. But, also use supplement greenhouse lighting for at least some of those other winter daylight hours. We can make our greenhouse grow equipment and specifically the grow light systems, more effective. And, we can make the indoor greenhouse with grow lights even more effective still. That happens when we move those grow light systems on grow light movers. Grow light movers get a better quality of light to more of the leaf surfaces. And, these grow equipment superstars also allow us to get closer to the canopies for higher PAR and ppfd, including exceptionally even ppfd. LightRail light movers are the grow light movers that move any grow light system, no matter the weight or size. Plus, they make something called Extender Rails and Rail Hanger Brackets, both being perfect for the grow lights in the indoor greenhouse. The LightRail Extender Rail makes our light mover rail longer in length. And, they are pinned which allows the LightRail light mover Motor to cross the seam. So, for the grow lights in the indoor greenhouse, we can extend the run compared to an indoor setting with no sunlight. The Rail Hanger Brackets are for smaller greenhouses with support poles being up to 1.5 inches in diameter. For anything bigger, their custom strut channel compatible rail might be a better option. The possibilities are definitely there for having the grow lights in the indoor greenhouse extending growing to all four seasons. But to have success, we have to boost our greenhouse lighting as much as possible. Quality indoor grow lights, used as part of the grow light system, are hugely important. And then, taking those indoor grow lights and moving that grow equipment on grow light movers takes it to another level. Whether it’s a LightRail 3.5 Kit or a LightRail 4.0 Kit, it’s the smart thing to do. In winter, the indoor plant light is weaker because sunshine is scarce. And, that sunlight supply is simply too low to the horizon. Indoor plant light can be augmented with quality grow lights on grow light movers. So, the indoor greenhouse with grow lights can easily be an all-season greenhouse when we are mindful of the importance of our grow light systems.